Nuts and seeds are tasty snacks. They also are excellent sources of vitamin E and minerals such as zinc that help keep your eyes healthy and may decrease your risk of cataracts and age-related macular degeneration. that helps protect membranes of cells throughout the body against damage caused by metabolic by-products called free radicals . Harmful free radicals in the body also can result from exposure to environmental pollutants, including cigarette smoke. The term "vitamin E" describes not just one substance, but a group of eight compounds called tocopherols and tocotrienols. Alpha-tocopherol is the most active form of vitamin E.
Natural forms of vitamin E are designated with a "d-" prefix (d-alpha-tocopherol, for example); synthetic vitamin E has a "dl-" prefix (dl-alpha-tocopherol). Natural vitamin E (the "d" forms) is more beneficial for your eyes and body than synthetic ("dl") vitamin E.
Research suggests vitamin E may help reduce the worsening of age-related macular degeneration (AMD) among people who show early signs of the eye disease. In the Age-Related Eye Disease Study (AREDS) involving nearly 5,000 people, participants with early AMD had a 25 percent lower risk of developing advanced stages of the disease when taking a daily nutritional supplement containing vitamin E. The AREDS supplement included 400 International Units (IU) of vitamin E, as well as high levels of vitamin A (as beta-carotene), vitamin C and zinc. Based on AREDS and other nutritional studies, many eye doctors recommend that their patients supplement their diet with a daily multivitamin that contains up to 400 IU of vitamin E in combination with other antioxidants as part of their preventative eye care. In a large, long-term study of more than 3,000 adults (ages 43 to 86) in Wisconsin, five-year risk for cataracts was 60 percent lower among people who reported using multivitamins or any supplement containing vitamin E or vitamin C for more than 10 years, compared with nonusers. In a 2008 study that evaluated the dietary intake of more than 35,000 female health professionals, women whose diets (including supplements) had the highest levels of lutein and vitamin E had a lower relative risk of cataracts than women whose diets were in the lowest 20 percent for levels of these nutrients. 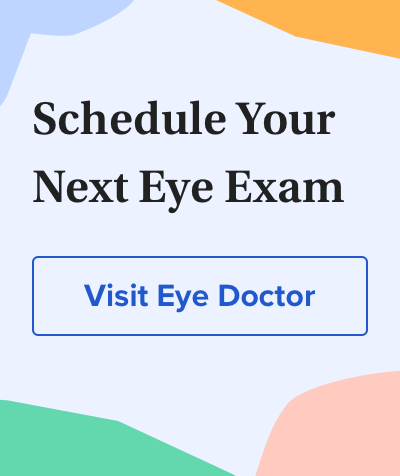 However, a recent study of apparently healthy older men in the United States failed to show any benefit of vitamin E supplementation in the prevention of cataracts. More than 11,000 men ages 50 and older (African-American participants) or 55 and older (all other participants) took a daily vitamin E supplement (400 IU of dl-alpha-tocopherol) or a placebo pill for approximately five and a half years. At the end of the study period, there was no significant difference in the number of cataract diagnoses or cataract surgeries performed among participants of the two groups. It appears more research is needed to fully understand the potential eye benefits of vitamin E — particularly in regards to whether vitamin E supplements can reduce the risk of cataracts. How much vitamin E do you need? The U.S. Recommended Daily Allowance (RDA) for adults and children of ages 14 or older is 15 mg per day — the equivalent of 22.5 IU. For women who are breastfeeding, the RDA is 19 mg (28.5 IU). As is true with vitamins A and C, if you smoke, you should plan to consume extra vitamin E.
Because vitamin E is a fat-soluble vitamin, it can accumulate in the body and potentially cause unwanted side effects if ingested in high quantities. But the maximum safe daily dose of vitamin E for some people may be significantly lower. In a study published in 2011, men age 50 or older who were taking 400 IU of vitamin E (all alpha-tocopherol acetate) daily showed an increased risk of developing prostate cancer, compared with healthy men of the same age not taking the supplement. Also, if ingested in very high doses, vitamin E can interfere with the body's blood clotting ability, posing a risk to people taking blood thinners for certain health conditions. Before supplementing your diet with vitamin E or any other vitamins or minerals, be sure to discuss the potential benefits and risks of nutritional supplements with your eye care provider and general physician. Your eyes can use some minerals as well. Important minerals for your eyes include zinc and selenium. The selenium and zinc in oysters are good for your eyes. Zinc helps your body absorb vitamin A and also helps many antioxidant enzymes in your body reduce the number of free radicals. Zinc has been shown to protect against macular degeneration and night blindness. Good food sources of zinc include oysters and other seafood, beef, eggs, black-eyed peas, tofu and wheat germ. However, avoid taking high doses of zinc (beyond 100 mg daily) without first consulting a physician. While zinc is vital to our health in moderation, higher doses have been associated with adverse effects such as reduced immune function. Selenium is a mineral that helps your body to absorb vitamin E. Good food sources of selenium include Brazil nuts, oysters and other seafood. Age-related cataract in men in the Selenium and Vitamin E Cancer Prevention Trial Eye Endpoints Study: A randomized clinical trial. JAMA Ophthalmology. January 2015. Vitamin E and the risk of prostate cancer: The selenium and vitamin E cancer prevention trial (SELECT). JAMA. October 2011. Dietary carotenoids, vitamins C and E, and risk of cataract in women. Archives of Ophthalmology. January 2008. Vitamin supplement use and incident cataracts in a population-based study. Archives of Ophthalmology. November 2000.